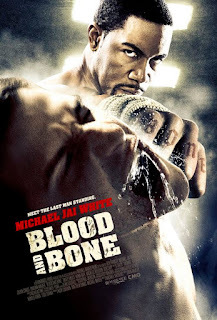 A martial artist known only as Bone (Michael Jai White) gets out of prison and immediately gets himself into underground bare knuckle fighting. What he really wants is to take on a fighter who works for local gangster James (Eammon Walker), whose moll (Michelle Belegrin) Bone seems to have taken a dangerous interest in. Despite the fact that more and more films are bypassing cinemas there was until very recently, in many viewers minds, an implied seal of quality, that comes with a theatrical release and not with a direct to video film. Netflix and other streaming platforms with original content are addressing this perception, but even they aren't often doing it with action films. Unless you're into action cinema enough to dig into the direct to video part of the genre it's likely you never came across this film or many, many others. I didn't mind The Bourne Supremacy at the time. I suspect I might still like it if I get round to rewatching it. It's that film's legacy that bothers me. I think we can trace the current awful state of most mainstream American action cinema back to Paul Greengrass' first take on the Matt Damon led franchise. With that film the trend for shakycam, fast cutting and close up shooting in fight sequences really began to take hold, and I still see far too much of it. For me, that style makes action meaningless. It destroys the choreography, messes up the geography of a scene and often makes it unclear exactly what is even happening from moment to moment. Happily, films like Blood and Bone and other direct to video titles have kept action movies alive. This film suffers from none of the problems of shakycam action. The fights are, like most of the rest of the film, simply shot. 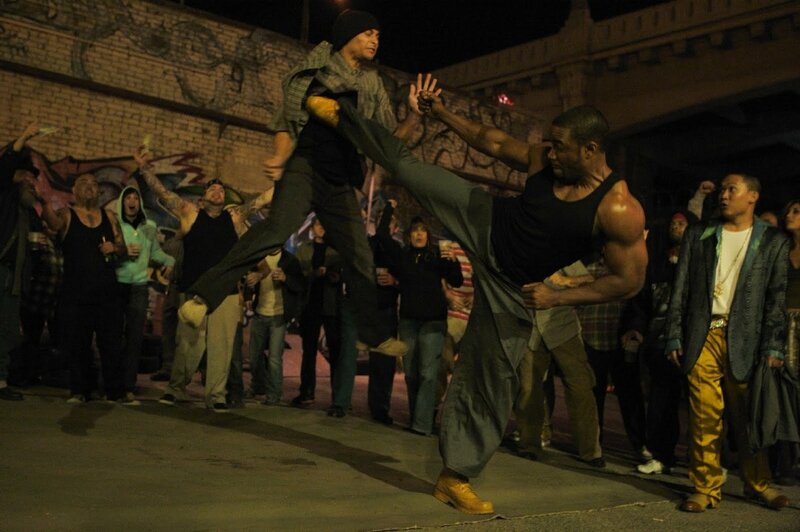 The emphasis is put on showing us what Michael Jai White and the other accomplished martial artists he is paired with during the film can do. The speed comes from White's movement, the impact from the force of his punches and kicks, director Ben Ramsey and editor Dean Goodhill simply don't need to use cutting to force either rhythm or impact into those moments. The fights build well, with White easily despatching early opponents, but more challenged as the film goes on. A highlight comes in a mid film bout with Bob Sapp, who plays a huge fighter named Hammerman, but the best really is saved for last in the fight with Matt Mullins, which starts tentative but evolves into both a great fight and an interesting story moment. The script is never the main point of these films, but Blood and Bone's simple writing is given a lift by a clutch of decent performances. Michael Jai White knows this is a great showcase for him and he grabs hold of what is a cliché part (noble martial artist fulfilling a promise) and invests it with great presence if not immense depth. Eammon Walker, who I first saw on Oz is an exceptional actor who has never really got a film role that shows what he can do. His character here isn't the most consistent – the moralising gangster of the first half who won't tolerate foul language is more interesting than the more standard writing of the second half – but Walker is great; all simmering ambition and rage. When Walker and White share scenes it makes you wish the screenplay was a bit better, because these two face off as well in dialogue as they do in their fight. Unfortunately the film's true 'Big Bad' is Julian Sands, who still can't act. Whatever the shortcomings of the script, I don't mind them. Sure, it's thin and predictable, but I'll take that plus a series of hard hitting fights (one of them featuring a pre-Haywire Gina Carano) I can actually see rather than most of what Hollywood was churning out and calling action cinema at this time. Blood and Bone is a great jumping off point for exploring the world of DTV action movies, which can be surprisingly rewarding. There are UK, US and European DVD and Blu Ray release available. The UK edition has a few features, including a commentary.